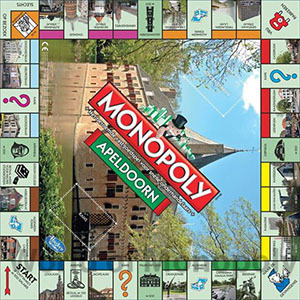 Apeldoorn has the largest theatre outside the Randstad and one of the busiest shopping streets in the Netherlands. 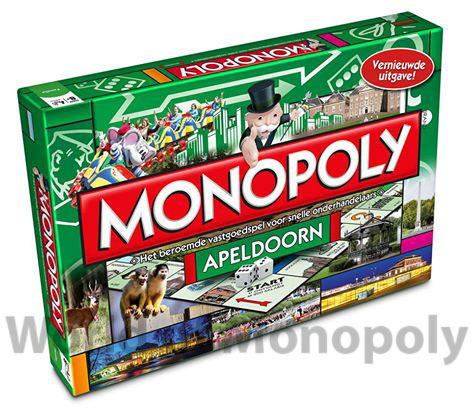 A city with a lively centre, with a diverse cultural life, with attractive events. A city that is worth to (learn to) know. 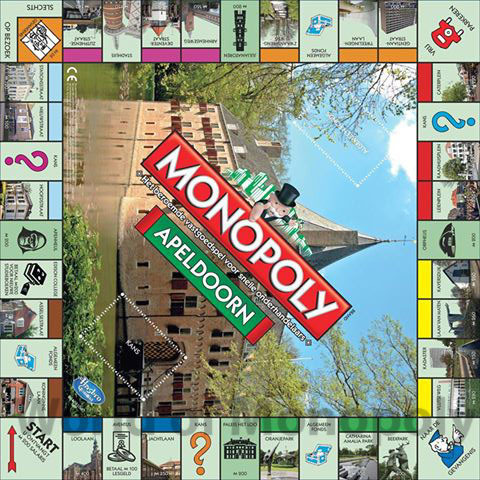 Apeldoorn has everything. Well, almost! 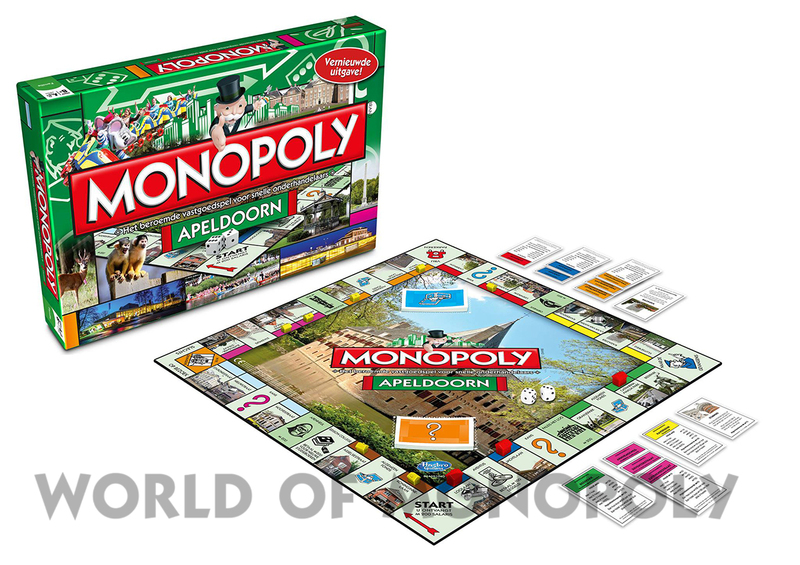 The beautiful city icons adorn prominent front of this version of Monopoly. 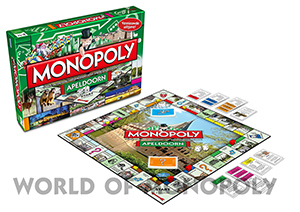 In the game itself, the famous Long Legs, Kalverstraat and Our Village are replaced by well-known streets of Apeldoorn, sights and companies with their logos. This allows it to immortalize the famous Apeldoorn to a famous and widely played game! Year: 2016 - Code: ?? ?